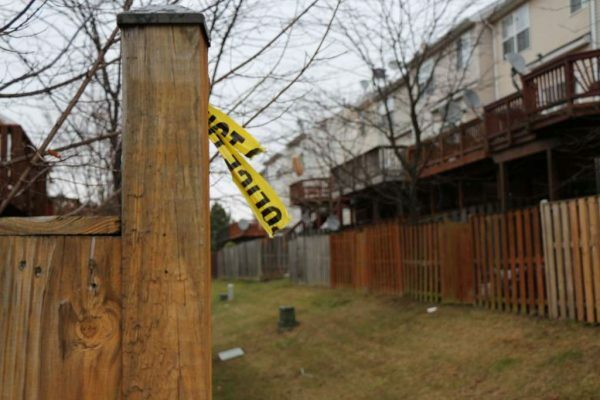 The 32-year-old Herndon man killed Monday by police after a chaotic barricade situation had shot his brothers after a fight with his girlfriend. Fairfax County Police say 32-year-old Mohammad Azim Doudzai of 13316 Covered Wagon Lane was arguing with his 28-year-old girlfriend when she called his brothers to come talk to him. The fight escalated, and he pulled a gun and shot his brothers, ages 37 and 23. The injured men fled the home along with the girlfriend, driving to the hospital and calling police. Officers who responded to the home, where Doudzai had barricaded himself inside. During the incident, police say, Doudzai set fires inside the home and there were reports of what sounded like gunfire. As officers attempted negotiations with the suspect, they discovered there was a 29-year-old man trapped inside the home. He was a roommate and not related to the family. When the incident escalated, he hid in a room upstairs and called 911 to report he could not escape. Following the response of the Special Operations Division (SOD), officers made the decision to approach the home out of concern for the hostage, neighbors and suspect. Smoke had filled the home and was billowing out the windows. When a team of officers approached the door, the suspect came out with at least one knife in hand and was shot. Members of SOD quickly entered the home and rescued the hostage. The officer who shot and killed Doudzai, a 16-year veteran of the department assigned to the Special Operations Division, has been placed on routine administrative leave while the investigation is conducted. Detectives recovered a gun and a knife from the home, police say. Anyone with information is asked to contact the Fairfax County police at 703-691-2131, use Crime Solvers, or text “TIP187” plus the message to CRIMES(274637).